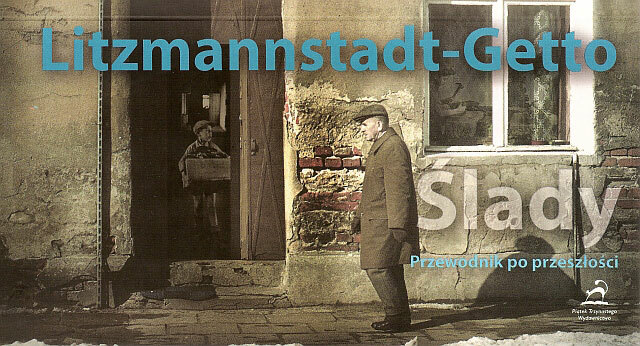 The author of this web site would like to express a big thank you to Joanna Podolska and the book publisher Piatek Trzynastego for allowing us to use texts from the book "Traces of the Litzmannstadt Getto. A Guide to the Past." I also would like to thank Dorota Dekiert for allowing us to use her translation of the book. Ms. Podolska has emphasized the story about the Lodz Ghetto is still being compiled and written. Her book, though a thorough introduction to the ghetto and the tragic events that had happened, was published in 2004 and is far from complete, she says. The Lodz Ghetto is of great interest to a growing number of people, in Poland and abroad. Our knowledge about the ghetto is continuously expanding, with new information and new details still being found. Additional information about the Jewish Lodz, and ghetto sites can be found in Ms. Joanna Podolska’s new book, "Spacerownik Łodz zydowska". Traces of the Litzmannstadt Getto. A Guide to the Past.